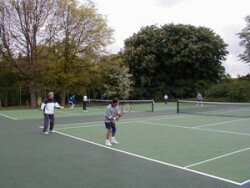 We are privileged to be able to coach out of one of Bucks most intimate and beautiful tennis clubs, Coleshill Tennis Club. We offer both a junior and adult program plus individual lessons. Club members are entitled to significant discounts on coaching with us. Information on the club and membership can be found on their website coleshill.org.